You are about to return to a world you once knew – the world without tobacco – congratulations! Each year 70% of smokers want to quit and 46% try on their own and do not succeed. Meeting in a supportive group setting, a trained TFF AHEC Cessation Program Tobacco Treatment Specialist provides tobacco users with the information and tools (including nicotine patches, gums, or lozenges) needed to become tobacco free. Each quit attempt is wonderful for your health and each one is also different from another. Your success in each quit attempt depends upon your emotional state, the impact of recent trauma or setbacks in life, and the amount of stress in your day-to-day routine. Remember, everyone starts using tobacco for different reasons and continues to do so over the years for different reasons. Each will quit in the way that best fits him or her. If you have enough desire to quit tobacco and are ready to make that commitment to yourself, your chances of success are high. A combination of all of the above! 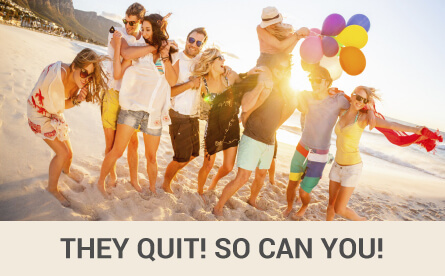 So, what do you think – is it time to quit? You can do it! Decide that a tobacco-free life is what you want. Accept the help that we are offering to you. Believe that change is possible and get ready for the exciting journey to becoming tobacco free! Can you believe it is possible? Do you see yourself as tobacco free? Will you believe in yourself and in your ability to succeed? Go and look at yourself in a mirror and tell that person who looks back at you. Copyright © 2019 AHEC Tobacco. All Rights Reserved.